Thank you for joining the congregation of Westminster Presbyterian Church in thanksgiving and celebration of the 125th anniversary of our church. Our worship service was October 14, 2018 and was followed by a luncheon celebration of the heritage and history of Westminster. We hosted a desserts and fellowship event with a display of church history, including photos and artifacts on October 13. We enjoyed sharing this time of celebration of years of service and worship of our Lord! Westminster Presbyterian Church is a designated Texas Historic Landmark that traces its roots to the first Protestant minister to preach on Texas soil. This year marks Westminster’s 125th year of worship in Nacogdoches, Texas. Join us as we trace our roots with upcoming stories marking our outreach efforts in the past 125 years! 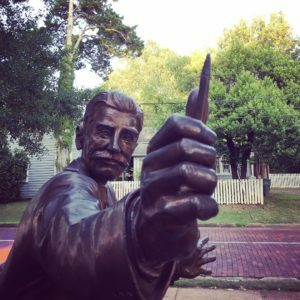 Have a story to share? Please send a message to wpc4u@suddenlinkmail.com. Support of charities and missions is an important part of what we do at Westminster Presbyterian Church. We encourage our members to be involved in a wide variety of mission projects in our community, including programs like Project Belize. Project Belize is a non-proft corporation founded more than 30 years ago in Nacogdoches, Texas. Each year the agency sends a group of doctors, nurses, and volunteers to Belize. The group provides medical treatment to approximately 1,000 people living in the remote villages. The group has also welcomed several nursing students from SFASU, providing them with an excellent experience in cross cultural primary health care. 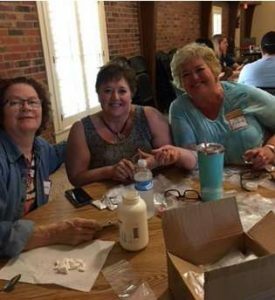 Prior to the 2018 trip, Westminster members met with more volunteers to help portion and pack medical supplies for the trip. We encourage our members to be involved in a wide variety of mission projects in our community, including programs like Nacogdoches HOPE. Nacogdoches HOPE (Helping Other People Eat) is a non-profit organization that serves Nacogdoches area families in need. This Nacogdoches Area United Way partner organization serves around 1,000 people each month in conjunction with the East Texas Food Bank. 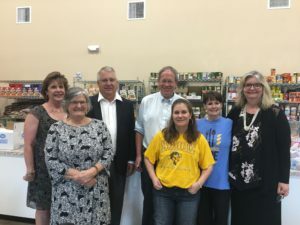 Westminster members host an annual food drive for the program and serve as volunteers on site and on the organization’s board. 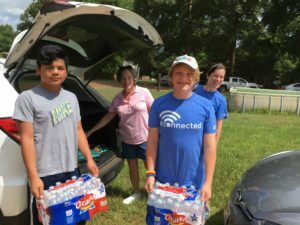 Westminster Presbyterian Church Youth are working with Love INC of Nacogdoches and Austin Heights Baptist Church together to gather food for Summer Meals in the Park. The Old Stone Fort was erected in 1779 (plus or minus a year) by Nacogdoches militia commander Antonio Gil Y’Barbo; and yes, our own Amanda Y’Barbo Perdue is a direct descendant of Commander Y’Barbo. Though the Old Stone Fort at times had a military purpose it was never actually a fort. The original building, which was first located in downtown Nacogdoches, served the community in many ways. Commander Y’Barbo used the building as a mercantile and it was called the Stone House. 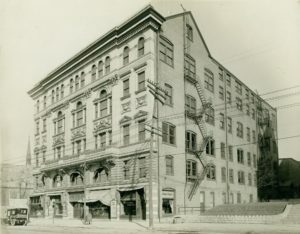 In 1806 the building housed an import-export business that catered to indigenous tribes of the area. Over time the structure housed various government offices. 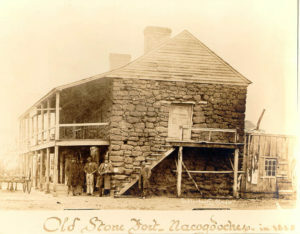 In 1826 the Old Stone Fort was seized by the Anglo population of Nacogdoches during the Fredonia Rebellion. The building has been used as a residence, a courthouse and for other commercial endeavors. There was a time in 1836, shortly after Texas won its independence, when the Old Stone Fort was used for a Presbyterian Sunday School. The Sunday School was established by Sumner Bacon a newly ordained pastor in the Cumberland Presbyterian Church. Pastor Bacon moved to Texas in 1828 bringing Bibles and religious tracts, which were illegal at the time, since Texas was to be strictly Roman Catholic. Shortly after the Battle of San Jacinto, Pastor Bacon started the Sunday School. The original structure was demolished in 1902, but some of the original stones were preserved. In 1936 a replica was built as part of Roosevelt’s “New Deal” work programs to celebrate the 100th anniversary of the founding of the Republic of Texas. This replica was built on the the campus of Stephen F. Austin State College. In 1838, Richard Overton Watkins took over the responsibility for the Presbyterian Sunday School that was once housed in the Old Stone Fort. He continued leading the school and in 1840 Rev. Watkins became the first Protestant minister to be ordained on Texas soil. 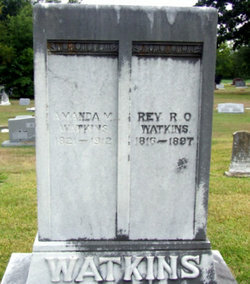 Rev.Watkins lived on a farm four miles north of Nacogdoches. 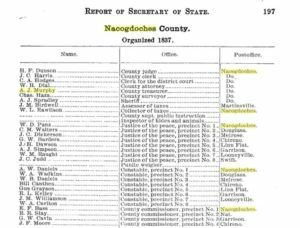 In 1849 the Sunday School disbanded, and it would be 37 years before Presbyterians would organize again in Nacogdoches, Texas. Heigh-ho, heigh-ho, it’s off to Mo they go! 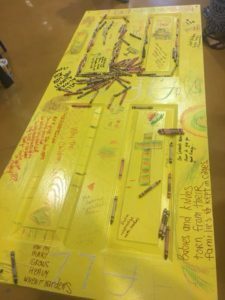 It’s wonderful to make space at your table for others, but at this conference people are exploring what it means to BUILD a table that accommodates and welcomes everyone. Facing challenges seen and unseen – ability, race, socio economic status, orientation, the list goes on… Each of God’s children are welcome and wanted. As Westminster Presbyterian Church​ celebrates 125 years in Nacogdoches, Texas​, we echo this belief and invite ALL to come to the table. We have a space just for you! Westminster Presbyterian Church has a rich history of helping those in need. During World War I the church led Nacogdoches County’s war savings stamps campaign. First issued in November 1917, the U.S. Treasury Department produced War Savings Stamps to help defray the financial cost of the United States’ involvement in WWI (estimated at nearly $32 billion). War Savings Certificates were interest-earning stamps that grew in value from the starting purchase price of $4.12 to $5 at maturity (January 1, 1923). Participants unable to purchase the $5 certificates outright, could save toward the larger stamp 25¢ at a time by collecting “Thrift” stamps in a bifold savings card (similar to current day grocery stamp saver programs). 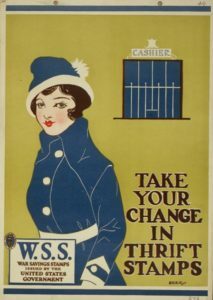 The WWI program raised about $0.93 billion and was lauded as a program that taught Americans the importance of saving every penny. Today Westminster members continue to save their pennies. Collected dollars and cents are donated each Christmas Eve in a noisy, but gracious goodwill offering. The 2017 collection could be counted as 256,100 pennies, which added up to a donation of $2,561 for Nacogdoches H.O.P.E. Westminster Presbyterian Church stresses music ministry, both in worship and in the community. The choir, directed by Dr. Debbie Dalton, performed a beautiful anthem arranged by John Rutter on June 10, 2018. 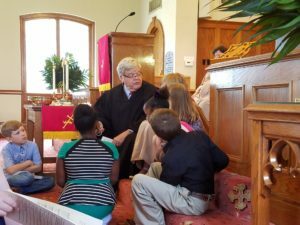 We believe that ministering to the hearts and minds of our congregation is one of the most important things we do at Westminster Presbyterian Church. Decades after meeting for Sunday School in the Stone Fort, Presbyterians reorganized in Nacogdoches. Famed architect Diedrich A. Rulfs built the church a one-story, rectangular, wood building with a modest facade. The church later moved, but several of Rulfs’ buildings continue to contribute to the iconic charm of Nacogdoches’ historic downtown. Westminster Presbyterian Church moved to the current location – 903 North Street @ Power Street – in 1930. 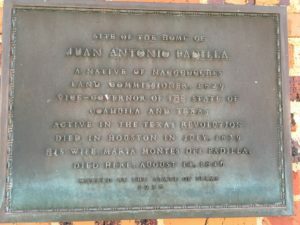 Padilla served as General Land Commissioner for the state, was an official of the Coahuila and Texas government (historical titles vary), was appointed as a member of the General Council at the start of the Texas Revolution, and he was a friend to Stephen F. Austin. Can you identify the background photo? Westminster Presbyterian Church was home to Samaritan Counseling Center of Nacogdoches from 1979-2014. As one of the first Samaritan centers established in the country, Nacogdoches’s Samaritan Counseling Center pioneered a push toward bundling counseling services. The non-profit organization provided quality, cost-efficient counseling, education, and consultation that recognized the inter-relatedness of mind, body, spirit, and community. People called on the center when they were having difficulty dealing with life situations. 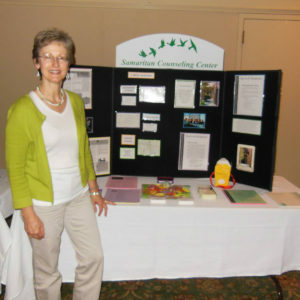 Therapists helped clients address wide range of issues, including stress-related problems, depression, anxiety, marital problems, and eating disorders. Rhodes said the idea of the Samaritan ministry was established when Kline was in Indiana. After providing 35 years of ministry, the Samaritan Counseling Center has closed, but the impact to the mental health of the Nacogdoches community was immense. Rev. Jim Sparks was church pastor when the Samaritan Counseling Center opened at Westminster. 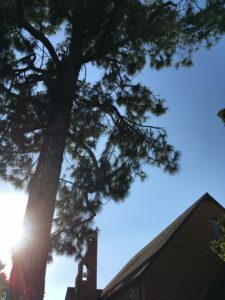 This Loblolly Pine towers in front of Westminster Presbyterian Church at the corner of Powers and North Streets. Nacogdoches, Texas was recognized with the Tree City USA distinction by the Arbor Day Foundation. Mature trees lining our town’s thoroughfare add to the charm of Nacogdoches, and this tree adds to the beauty of our historic church. Childhood hunger is a harsh reality in Nacogdoches. During the school year, some area children rely on school meals as their main source of food. These kids have limited access to nutritious meals during the summertime. Nacogdoches is one of many communities that comes together to fill the critical summer nutrition gap. Nacogdoches ISD delivers summer meals to a variety of different sites in the community – parks, apartment complexes, community centers and neighborhood hubs. Meals are provided for children ages 1 to 18 through partnerships with the U.S. Department of Agriculture, Texas Department of Agriculture, No Kid Hungry and other program sponsors. Love INC of Nacogdoches coordinates volunteers to gather additional food donations that help families supplement their pantries for weekend meals. 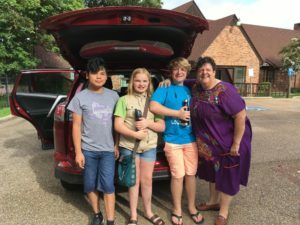 Westminster Presbyterian Church and Austin Heights Baptist Church youth groups partnered in a recent food drive and worked with Love INC to deliver food and share fellowship with families in Briar Forest. For an interactive map and schedule of 2018 Summer Meals, visit Summerfood.org. Outreach is an important part of what Westminster Presbyterian Church has brought to Nacogdoches, Texas for the past 125 years. We encourage our members to be involved in our community and appreciate the generosity of those who donated to this service project. God’s Word can come to us in a variety of ways—not just through scripture and preaching. God speaks through many means, including music. The choir is intended to be representative of the congregation’s voices rising in praise or petition to God. Similarly, God speaks to us through the music of the choir. So when the choir sings, the people become instruments—instruments of the congregation and/or instruments of God’s Spirit blowing through them to sing the good news. Follow Westminster Presbyterian Church at facebook.com/westpresnac to see a selection from the anthem on June 17, 2018, with guest director Ron Anderson. In 1893, the Cumberland Presbyterian Church organized Main Street Presbyterian Church. The organizing pastor was Rev. B.A. Hodges and the church had 12 charter members: A.J. Murphy, Martha V. Murphy, Mary Ida Murphy, Oscar F. Murphy, F.H. Burk, Ellen J. Burk, Mary Ann Wade, Nancy Vaught, Mary Ann Weaver, Dr. H.G. Long, Mrs. E.E. Long, and Alice C. Hodges. According to the 1896 Biennial Report of the Office of the Texas Secretary of State, A.J. Murphy served as the County Treasurer. Lord God of the nations, you have revealed your will to all people and promised us your saving help. May we hear and do what you command, that the darkness may be overcome by the power of your light; through Jesus Christ our Lord. Amen. A #MOment from the 2018 MOPAM Music & Worship Conference @ Mo-Ranch… The theme was “building a bigger table for the people of God.” Tables were decorated during art classes and during worship. Worshipers were invited to write their laments on the tables. The tables were also used for communion. Follow Westminster Presbyterian Church at facebook.com/westpresnac to see a video of this anthem, with director Debbie Dalton. 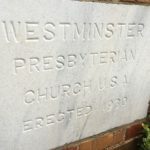 Westminster Presbyterian Church became part of the Presbyterian Church of the United States of America in 1907 when the Cumberland Church merged with Presbyterian Church (U.S.A.). We are grateful for the opportunity to support organizations like Presbyterian Children’s Homes & Services (PCHAS). PCHAS provides Christ-centered group homes, foster homes, crisis intervention and family preservation programs, and advanced education and after-care to children to families in need. Support of charities and missions are an important part of what we do at Westminster Presbyterian Church. We are grateful for the opportunity to help organizations like Brown Family Health Center (formerly Health Horizons). This full-service family clinic started as a non-profit based organization that provided HIV/AIDS and related services in 12 counties in rural east Texas. The counties included in the service area are Angelina, Nacogdoches, Sabine, San Augustine, Shelby, Tyler, Jasper, Newton, Polk, San Jacinto, Houston and Trinity. Clinic services include dental care, health care evaluation, medical assistance, routine blood work, case management, buddy program, counseling, education and HIV testing, housing and utility assistance, insurance assistance, legal services, support groups, and transportation assistance. The loss of a friend, a loved one, a dear one…. “Goliath Never Had a Chance” (1 Samuel 17:10-11, 1 Samuel 17:32-37, 1 Samuel 17:48-49). There is a heavy emphasis on mission and many of our members serve Christ as volunteers in various help agencies in Nacogdoches. Many take time to help with other church programs such as Sunday School, youth and fellowship events. There is always a need for help in maintaining our historic building. The Presbyterian Church traces its growth and development from a unique group of Christian Churches that were founded on the ideals of the Protestant Reformation, and based on the concept of democratic rule under the authority of God. The word Presbyterian comes from “presbuteros” the Greek word for “elder.” It refers to the system, in apostolic times, of choosing leaders from among the wisest members of the church. 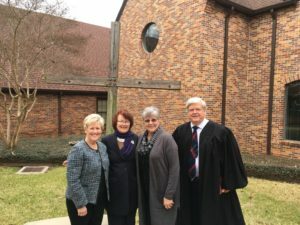 Pictured (left to right) – 3 of Westminster Presbyterian Church’s 15 Ruling Elders: Terry Kline, Barbara Stump, Terri Moehring, and Teaching Elder (Pastor) Rev. Steve Newton. Many Presbyterians give credit to John Knox as the founder of the Presbyterian Church. Knox studied under John Calvin in Geneva and returned to his home in Scotland in 1559 where he established the Presbyterian faith. Soon thereafter, Scottish settlers brought Presbyterianism to Northern Ireland, an important stepping stone on the trail leading to America. Knox worked closely with colleagues to publish three significant documents in his mission to promote Reformation in Scotland. He helped write the Scots Confession (1560). Knox was the main author of the Book of Common Order (1556-64). Knox also contributed to History of the Reformation of Religion within the Realms of Scotland. 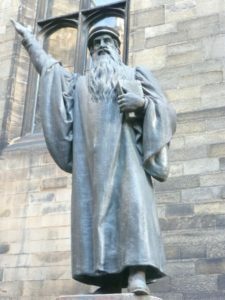 Statue of John Knox in the New College, Edinburgh quad. Photo by Kim Traynor. ERECTED BY SCOTSMEN WHO ARE MINDFUL OF THE BENEFITS CONFERRED BY JOHN KNOX ON THEIR NATIVE LAND, 1896. The congregation of Westminster Presbyterian Church helped found the Nacogdoches Head Start program in 1968. Head Start was a component of President Lyndon B. Johnson’s War on Poverty. Johnson, a former school teacher, believed education is the key to shattering the cycle of poverty. Head Start played an important role in promoting educational equality. When it began, most states did not offer public kindergartens, and the program aimed to prepare children for first grade. What started in Nacogdoches in a single church classroom has grown to serve more than 670 students in five East Texas counties. When Charlotte Stokes accepted the position as director in 1977, the program was serving 60 students at Westminster. Under Stokes’ leadership, the organization thrived. Stokes retired in 2005 and the Head Start Center in Nacogdoches was renamed in her honor to the Charlotte Weaver Stokes Complex. Stokes, the daughter of long-time Nacogdoches NAACP Chapter President Arthur Weaver, was born in Nacogdoches and attended E.J. Campbell School. In the summer of 2010, Stokes was interviewed for the East Texas African American Oral History Project about integration in Nacogdoches schools.Click the link to listen to the interview or read the transcript: http://www.sfasu.edu/heritagecenter/454.asp. Ahead of its time, minutes reveal the Board of Missions for Freedmen offered an example of how the Church was trying to address imbalance in educational opportunities. African American schools such as Harbison Agricultural College in Irmo, South Carolina – “one of the best equipped educational systems possessed by any branch of the [C]hurch with 480 trained teachers, 127 schools and 17,00 students” were funded by the Board. The minutes also detail discussions about uplift work, women’s suffrage, capital and labor. The Inter Church World Movement and reconstruction in the U.S. and abroad were hot topics that made national headlines. The church also voted to endorse President Woodrow Wilson, a ruling elder in the Presbyterian Church. Many of our members serve Christ as volunteers throughout the Nacogdoches community. 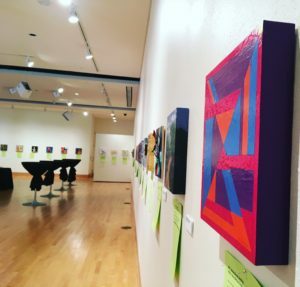 Nancy Niehaus donated a painting to support SFA Friends of the Visual Arts Scholarships through the 12×12 fundraising event. 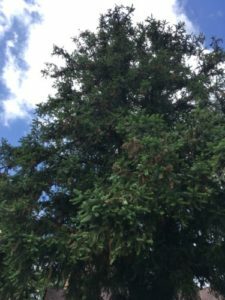 Cunninghamia lanceolata, commonly called China fir, grows well in The Garden Capital of Texas, far from its native forests of China and Taiwan. This mature tree graces the front lawn of Westminster Presbyterian Church at the corner of Powers and North Streets. Worship is served by many gifts. Music and art were two shared this past Sunday. Click here to view a video excerpt of worship. The first worship service held in the current church building took place on November 23, 1930 under the leadership of its pastor Rev. A.J. Crawford. Rev. Crawford served the church from February 1926 to January 1941, the longest pastorate at the church until that time. Pastor Steve Newton has served Westminster for 15 of its celebrated 125 years! 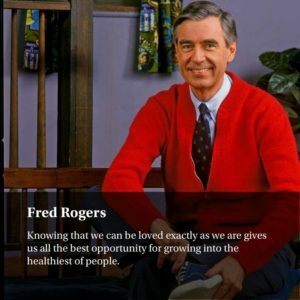 Did you know Fred McFeely Rogers (AKA Mister Rogers) was an ordained Presbyterian minister? Rev. Rogers earned a Masters of Divinity degree from Pittsburgh Theological Seminary and was ordained in 1963. He never served a traditional pastoral role in a church, but was instead charged to continue his ministry with children and their families through the media. Mister Rogers’ Neighborhood reached millions of kids across many generations with episodes running from 1968-2001. In the mid 1960s, under the leadership of Rev. 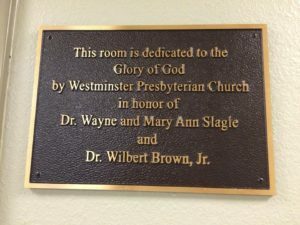 L. Wayne Bryan, Westminster Presbyterian Church​ expanded its ministry to the student community at Stephen F. Austin State University. That ministry included a coffee house! Presbyterian Church (U.S.A.)​ offers scholarships for undergraduate and seminary students. Visit https://www.presbyterianmission.org/ministries/theology-formation-and-evangelism/financialaid/undergraduate-opportunities/ for details! We have a very active group of Presbyterian Women at Westminster Presbyterian Church. This group minister to the needs of women of all ages in the church. • To build an inclusive, caring community of women that strengthens the Presbyterian Church (U.S.A.) and witnesses to the promise of God’s kingdom. • Sharing our faith, fellowship, and in Christian love, extending a warm welcome to all Presbyterian Women. 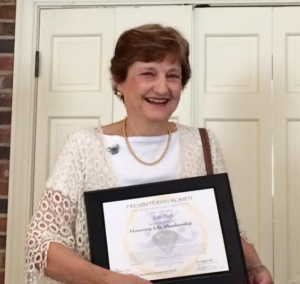 The Presbyterian Women confer The Honorary Life Membership Award upon an individual in recognition of faithful service in the church’s work. 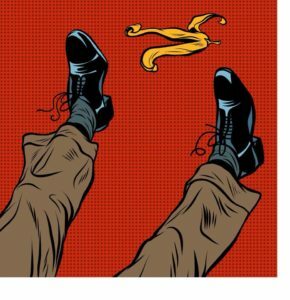 God’s Sense of Humor (Matthew 1:18-25) Has your life slipped on the divine banana peel lately? Could that unwelcome surprise have been God’s wake-up call to you? Westminister Presbyterian Church enjoys a rich and enthusiastic music program led by a talented staff of musicians. With Adult, Youth, Children’s and Hand Bell Choirs, we offer opportunities for members of all ages. Click the link for a performance from our Hand Bell Choir. Double honors to our incoming teachers for Nacogdoches ISD. Westminster Presbyterian Church gifted magnifying rulers and a little something Extra for new teacher bags that will be distributed through the Nacogdoches County Chamber of Commerce. We are a church family of about 220 members. 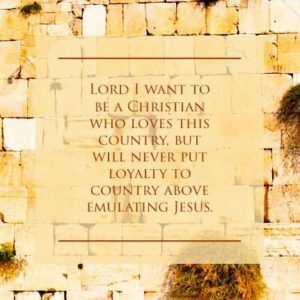 Our family members have different opinions, different backgrounds, and differing political persuasions; however, we have one thing in common ― a desire to honor our Lord Jesus Christ. Our basic beliefs are consistent with mainline Protestantism. 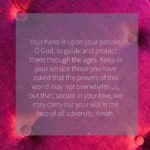 We place a heavy emphasis on the sovereignty of God and our lives are lived out in gratitude for what God has accomplished for us in Jesus Christ. Presbyterians understand the equality between clergy and laypeople, and the absolute right of the people to elect the officers who govern the church. Westminster Presbyterian Church invited new and returning teachers, professors and their families to a newcomer welcome/Rally Day breakfast, Sunday, August 19 at 9:30 a.m. Nacogdoches newcomers interested in getting to know their neighbors, connecting with local volunteer opportunities or looking for a new church home were greeted with a warm welcome. Westminster members have a demonstrated commitment to education in the Nacogdoches community. 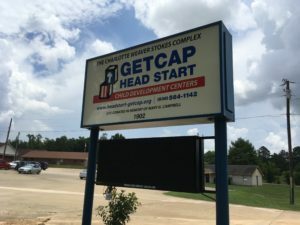 GETCAP Nacogdoches Head Start pre-school had a start in the church. SFA is important to members who graduated from the university, work there, worked at the university, volunteer on campus boards, and enjoy fine arts, speaking and sporting events. Westminster members work for Nacogdoches ISD, Chireno ISD, Garrison ISD, and other area schools. Members volunteer as tutors at Raguet Elementary School and in many parent organizations. Westminster contributes to the growth and mission of many area groups, including Community RX Help, East Texas Community Health Clinic, Brown Family Health Center, Nacogdoches HOPE, Love INC of Nacogdoches, Nacogdoches ISD, American Cancer Society, Nacogdoches Area United Way, Nacogdoches Senior Center, Family Crisis Center of East Texas and The Salvation Army Nacogdoches Service Center. Westminster serves in partnership with NOROC (New Opportunities for Romanian Orphaned Children) and Project Belize. NOROC provides care and educational opportunities for orphans in Eastern Romania and members have traveled to Romania to serve on site. Project Belize is an annual medical mission to several Mayan villages. Westminster provides year-round opportunities for prayer and study. Sunday school meets weekly at 9:30 a.m. The Westminster congregation worships together at 11 a.m. each Sunday morning. All SFA students, families, friends, staff and faculty are welcome to worship with us this Sunday at 11 AM. Early riser? Join us for Sunday school with classes for visitors of all ages starting at 9:30 AM. This is how Westminster University Fellowship rolls! 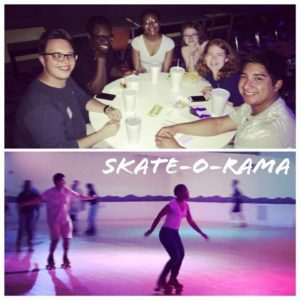 WUFs met for fellowship at Skate O Rama. Support of charities and missions are an important part of what we do at Westminster Presbyterian Church. We encourage our members to be involved in a wide variety of mission projects in our community. Looking for a place to serve? The Salvation Army Nacogdoches Service Center is in search of advisory board members. The Salvation Army provides emergency service to citizens of Nacogdoches County in the form of food, transportation, prescription and medical aid. If you are interested in donating your time, please contact Service Center Manager Molly Hoya: molly.hoya@uss.salvationarmy.org; 936-569-9871 – office; 936-645-0657 cell. 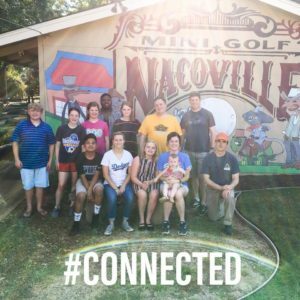 WPC Youth #connected August 26 with dinner, fellowship and putt putt at Nacoville Mini Golf. Youth Sundays include dinner, fellowship and great ways for youth in grades 6-12 to get #Connected. 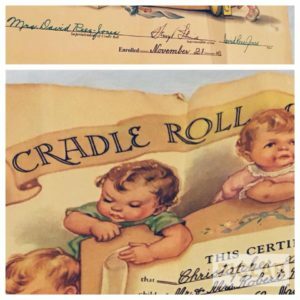 Westminster Presbyterian Church once recognized the youngest children in the church by presenting them with a cradle roll certificate as a sign that we recognize and appreciate their presence in our midst and their continued growth as part of the congregation.